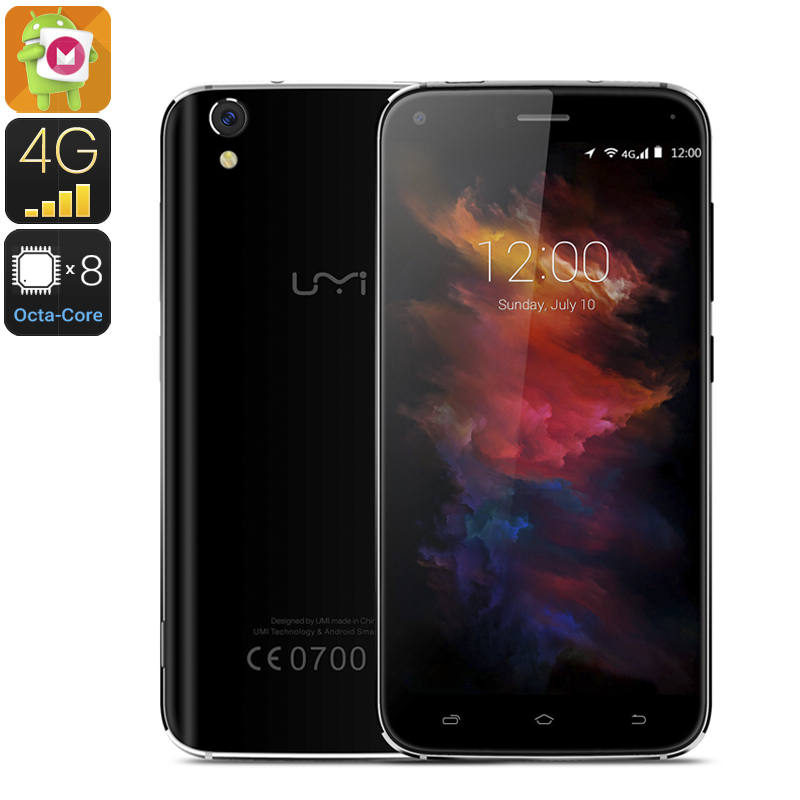 Successfully Added HK Warehouse UMi Diamond Smartphone - Octa Core CPU, 3GB RAM, Dual SIM 4G, Android 6.0, 5 Inch HD Screen, OTG (Black) to your Shopping Cart. The UMi Diamond is an exceptional handset combining an exquisite yet durable body with high-end features that brings a stunning performance for very little money. Its curved 2.5 D glass screen protect the front of the phone and the gorgeous 5 inch HD display from undue damage so it can deliver a crisp sharp image time and time again. with rounded edges and corners this metal Smartphone enjoys a light weight yet durable body that's attractive to look at and feels stunning in the hand. The workhorse of this phone is its Octa-Core MTK6753 CPU, clocked at 1.5 GHz and backed by 3GB of RAM it delivers a blazing performance that drives the phone to great heights - so it can easily stream media, handle intensive games and tackle all you could desire from it with perfection and ease. With its dual SIM card, dual standby 4G network support across a broad spectrum of frequencies the UMi Diamond brings fast data connectivity so web pages will load fast and you can stream HD movies on the go. Android 6.0 is the operation system of choice and comes as standard on the UMi Diamond so you get access to the newest features and teaks of the Google OS. there's a 2650mAh battery bringing up to 6 hours of continuous talk time and a respectable 8MP rear camera that can be interpolated to 13MP so you can snap great shots or record FHD video. The UMi Diamond 4G smartphone starts at a little over $100 and comes with 12 months warranty, brought to you by the leader in electronic devices as well as wholesale Android phones..
très beau smartphone écran très lumineux double sim + carte mémoire le top au meilleur prix !!!!!! australia post took 18 days to deliver from brisbane, 4 days from singapore to brisbane. Vivid colors, UI looks amazing, 3GB Ram is a plus, glass screen looks durable. Great Smartphone. features are Awesome. I like most Android 6.0, MTK6753 64bit Octa Core, Processor running at 1.5GHz, and while the Mali-T720 GPU features of this phone.